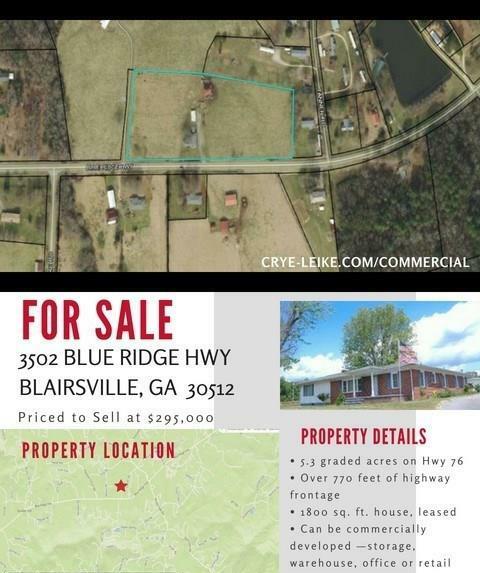 5.3 acres on Blue Ridge Hwy. (76) in Blairsville. Approximate 1800 sq. ft. house on property currently rented for $950 per month. Flat property with huge amount of frontage on Hwy. 76 (over 770 feet). 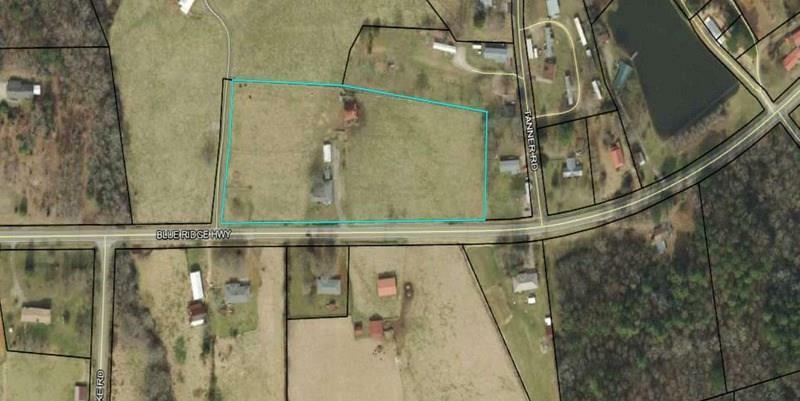 Great potential for commercial development, storage units, warehouse, office or retail.